Our ideas of Indian children’s literature come tinged with nostalgia--they are closely tied to our memories of growing up, the consumptive habits of our families, the nature of our immediate social settings, and they perhaps say something about the people we are today. For some of us, the phrase evokes memories of nightly stories told to us by our grandmothers, or a cupboard stacked with Tinkle and Amar Chitra Kathas. For others it might be the cartoons they watched on television, or their daily dose of internet time. These are only a few instances. How then do we even begin to analyse and account for the myriad other experiences that constitute the present day of interactions between childhood and literature? The literatures that children encounter are a key aspect of their socialization; a means of integration into, or exclusion from, particular cultural milieus. It is in this way that a child begins to develop ideas about the world and the people in it. Both for children who have access to formal/commercial manifestations of children’s literature, as well as for children who do not access texts designed specifically for their consumption, the idea of a genre that attempts to engage in dialogue specifically with the world of “childhood” holds immense potential. Any question we ask of the society we inhabit must take into consideration this element of our culture. 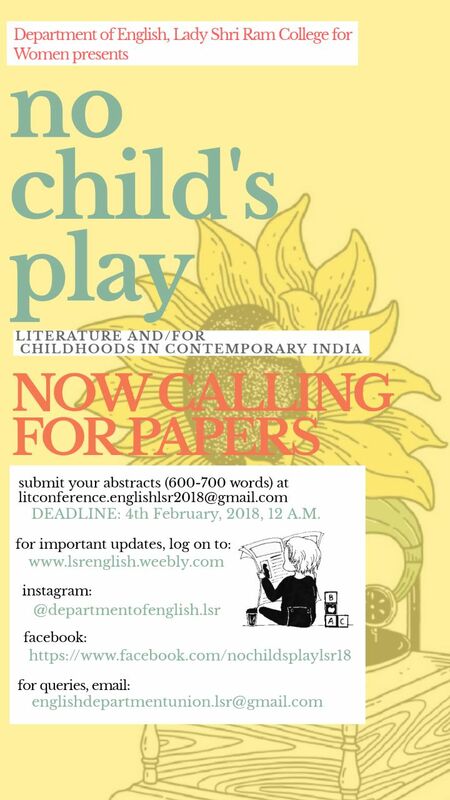 We wish, then, to explore the following idea: what are the impulses, processes and institutions that characterise an “Indian” engagement with the production of literatures for children? It is necessary to begin by examining the nature of the existing discourse around Indian children’s literature, and to delineate the contours of the contemporary by placing it in a historical context.When and how does the need for a separate children’s literature take root in the Indian consciousness? How can we trace the development of the notions of age-appropriate literature in India? How has the use of pictorial representation evolved over the decades? In recent times, there has been a move to adapt traditional narrative forms to fit the contemporary context. Myths and fables have become the bases for emerging fantasy-like fictional forms as well as graphic texts. How do we explain this, and other similar shifts within the genre over time? Perhaps most significantly, we must ask: what meanings has the term literature itself acquired and in what ways can we use and interrogate these? Given that India is home to a diverse range of economic, social and cultural settings, where childhoods are not only multiple but often also isolated from one another, how does one evaluate the experiences, tastes and requirements of this audience? Who, in fact, fits the monolithic image of the Indian child? Is it perhaps more apt to see these different lived realities as multiple distinct audiences instead? How then do we understand the process of manufacturing literatures for these audiences? Production appears to be carried out by a handful of commercial and government-run centres--including schools, publishing units, and large corporations with broad pedagogical or humanitarian agendas/concerns. Each of these gains their creative impetus from their own specific set of ideological moorings and the inevitable desire to accumulate economic profit. How do these centres operate and in what ways do their ideologies filter into and shape the body of texts accessed by children? (It is also important to recognise that the impacts of institutional production also manifest in texts that may not be categorically “intended” for the consumption of children--these could be images, writing, games, virtual realities, or social discourses--but which are nonetheless elements of a child’s immediate surroundings, and which to this extent become “literatures” from which interpretations can be drawn, meanings can be derived) How does the skewed ratio of production centres to a wide set of differently located and conditioned readers reflect on the nature of the literatures in our cultural repertoire? And in producing individual texts, how do writers and illustrators develop a specific set of formal and stylistic techniques that are understood to be optimal for communication with specific age groups? In what ways do these individuals process their relationships to the larger economic machinery? Additionally, production may also be seen as a process of re-production. When generating a set of images and representations around the idea of childhood, in what ways do we (re)produce the category of childhood? What are the forces that shape this process? What role do memory, nostalgia and a desire to fix and construct a separately constituted “children’s world” play in this (re)construction? To what extent does the market success of textual products for children rely on the perpetuation of a particular definition of childhood? If the images of childhood are in a sense crystallised in the process of production, it becomes imperative for us to consider the way identities and identity traits are represented in the literatures that children encounter. Is there a relationship between the immediate environments of a childhood and the specific images of social and personal phenomena (class, caste, livelihoods, religion, gender, sexuality, trauma, mental illness) that permeate into it? How are the products of such a process received? What meanings in literature are most salient to child readers and how do these meanings vary across social, cultural, linguistic, economic and geographical boundaries? In what manner can we attempt to discern this? Through the course of our conversation in No Child’s Play: Literatures and/for Childhoods in Contemporary India, we hope to touch upon the keynotes of existing discourse--whether these be the much debated question of a didactic purpose to the creation of children’s literature; or finer questions around the emergence of a “young adult” category, the elitism of the very notion of a separate literature for children, or the role of language in the politics of access and identity. In discussing these and other thematic concerns, we wish to explore the directions in which future discourse may extend, particularly in the context of the rapidly changing atmospheres of the global and national communities that we inhabit. We invite submissions from academic and independent scholars as well as from artists and activists. Reformulations of myth: myth as India’s fantasy equivalent? Please send proposals for 10-12 minute papers along with a brief biographical note to the English Literary Association, LSR at litconference.englishlsr2018@gmail.com no later than 4th February 2018, 00:00 IST. The proposals should include a title, a 600-words abstract and a short bio-note in 100 words with your institutional affiliation, email id and phone number. The selected contributors will be notified via email by 14th February 2018. 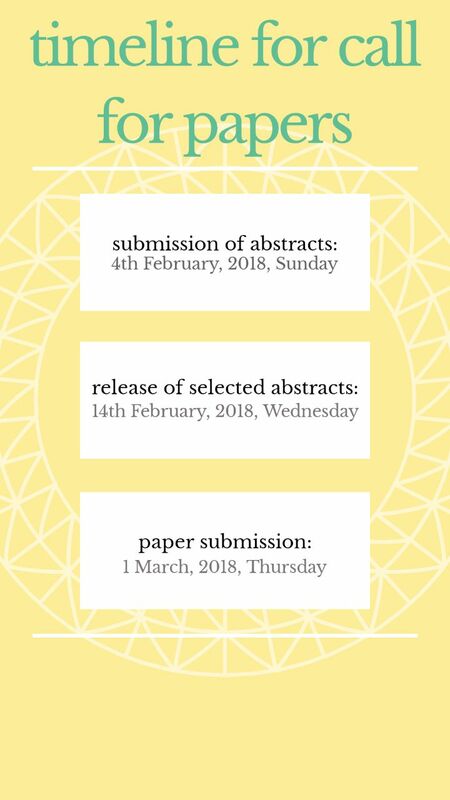 The selected contributors, who are willing to submit their papers for presentation must send in their complete papers along with 5 key words by 1st March 2018, 00:00 IST to litconference.englishlsr2018@gmail.com. Please note that we will not provide reimbursement for any travel and accommodation expenses incurred by the aforementioned presenters.